When it’s the culmination of your life’s work at stake, it’s imperative to work with ﬁnancial professionals who understand and embrace your goals. Over the course of our nearly 50 year history of serving clients in Upstate NY and throughout the country, Brighton Securities has helped tens of thousands of individuals, families, investors and businesses in reaching the pinnacle of their ﬁnancial success. Through a collaborative process involving your financial advisor along with a tax professional, a legal professional and an insurance professional, we will work together with you to establish short-term and long-term goals and the individual steps that you will need to make with the support of your team in order to achieve those goals. Putting together a plan along with a BSC advisor is an important part of managing your financial well-being, and a trusted financial advisor can help you as you pay your student loans, first mortgage payments, as well as begin to plan for your eventual retirement. It is never too early to start saving and planning. Insurance policies are an important part of your long term financial plan. As an independent financial services firm, we work with all of the leading providers to ensure our clients have all the options available to best meet their financial needs. Working along with your tax and estate attorney we will help you to inventory all of your retirement accounts and make sure the beneficiary information is up to date, as well as to help you navigate and allocate who inherits your assets, how quickly they are paid out, and consult with you about potential tax consequences. Our experienced staff not only prepares tax returns during the tax season, but is available year round for comprehensive tax planning and support. Our corporate financial professionals can help with everything from 401K and employee benefits, to tax, audits and investment services. 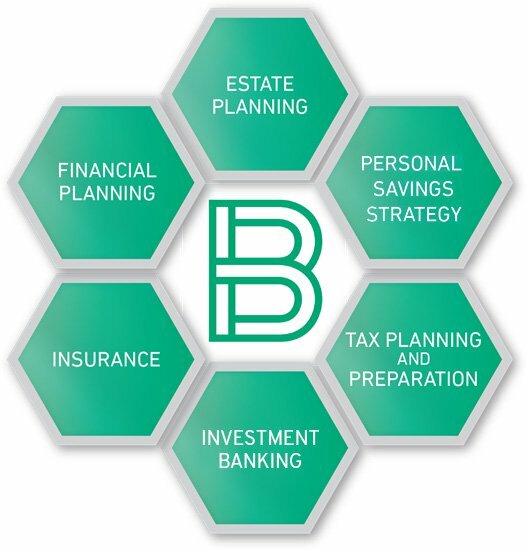 If you're ready to work with a financial firm that puts your success ahead of our own, the professionals at Brighton Securities are here and ready to help. To get started or learn more, call our Rochester office at 585.473.3590, or in the Batavia area at 585.344.1850.